Check out the video for “Last Of Our Kind” on KNAC.COM right HERE. Last Of Our Kind is the meaty and impassioned follow-up to 2012’s Hot Cakes, which saw the band reunited having enjoyed a well-publicized and well-deserved hiatus. As distinguished guests of DEF LEPPARD, THE DARKNESS destroyed Download Festival in 2011, then waved goodbye to their loved ones and toured planet Earth for over 18 months. They rounded off 2013 with a celebratory tour marking the 10th Anniversary of their legendary number one debut album. Permission To Land featured “I Believe In A Thing Called Love”, “Love Is Only A Feeling”, “Love On The Rocks With No Ice” and “Love Is A Many Splendored Thing”; it was the fastest selling debut album by a British band in America since that of THE SPICE GIRLS. Last Of Our Kind is available on limited edition colour vinyl, CD and downloadable computer files. THE DARKNESS recently announced the Blast Of Our Kind UK tour, to commence on November 30th in Norwich and culminate in a triumphant show at London's Roundhouse on December 20th. It is the first, and a golden, opportunity for enthusiasts to see THE DARKNESS on their own stage in support of the new, fourth album Last Of Our Kind. 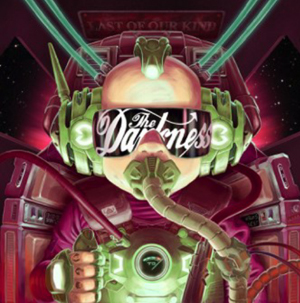 Blast Of Our Kind will be THE DARKNESS' first UK tour since 2013. THE DARKNESS will spend the summer months honing their craft with a sold-out launch show at Dingwalls and choice slots at the various festivals listed below.